Atlas keeps the logo. vector illustration. 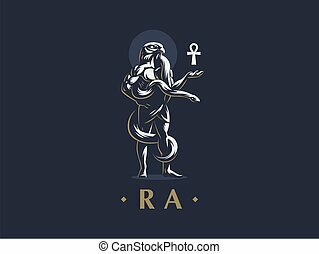 Egyptian god Ra keeps the ankh. Vector emblem. The flying eagle. Hawk. Bird. Logo. Vector emblem.